This is the 13th and 8th year The Venetian and The Palazzo have received the prestigious award, respectively. 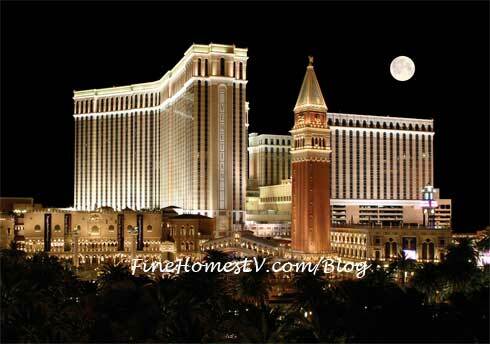 The Venetian and The Palazzo are two of the world’s most recognizable and luxurious destination resorts. The all-suite resorts house more than 7,000 suites, luxury retail shops, and more than 80 restaurants including dining spots by noted chefs Emeril Lagasse, Daniel Boulud, Mario Batali, Thomas Keller, and Wolfgang Puck. Also receiving the prestigious Four-Star rating were Canyon Ranch SpaClub at The Venetian and The Palazzo, Aquaknox at The Venetian, and Wolfgang Puck’s CUT Las Vegas at The Palazzo. B&B Ristorante and Carnevino, both from Mario Batali and Joe Bastianich, received 2016 Forbes Travel Guide Recommended ratings. The Venetian and The Palazzo Las Vegas are the latest addition to the luxury travel ratings that have been the gold standard in the hospitality industry since 1958.